KEMER MH. CENNETLER MEVKII, 533 SK. Pamper yourself with a visit to the spa, which offers massages. Encounter the local wildlife with a safari, then enjoy recreational amenities including a private beach and a sauna. This hotel also features wireless Internet access (surcharge), gift shops/newsstands, and a television in a common area. Make yourself at home in one of the 24 air-conditioned rooms featuring minibars and LCD televisions. Complimentary wireless Internet access keeps you connected, and satellite programming is available for your entertainment. Private bathrooms with showers feature complimentary toiletries and hair dryers. Conveniences include phones and laptop-compatible safes, and housekeeping is provided daily. Make yourself at home in one of the 77 air-conditioned rooms featuring LCD televisions. Your bed comes with premium bedding, and all rooms are furnished with double sofa beds. Rooms have private balconies. Complimentary wireless Internet access keeps you connected, and satellite programming is available for your entertainment. Private bathrooms with shower/tub combinations feature deep soaking bathtubs and complimentary toiletries. Satisfy your appetite for lunch or dinner at the hotel's restaurant, or stay in and take advantage of the room service (during limited hours). Wrap up your day with a drink at the poolside bar. A complimentary breakfast is included. The port city of Bodrum is one of Turkey's most popular holiday resorts. This boom has only happened relatively recently – for a long time, the city was best known for fishing. 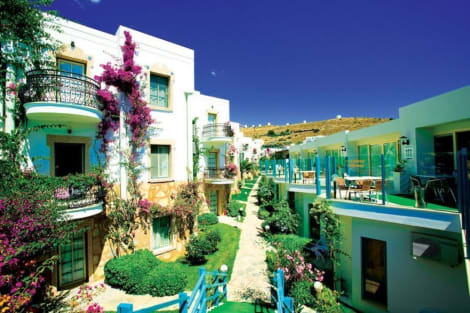 Bodrum hotels are usually clustered along the coastline. 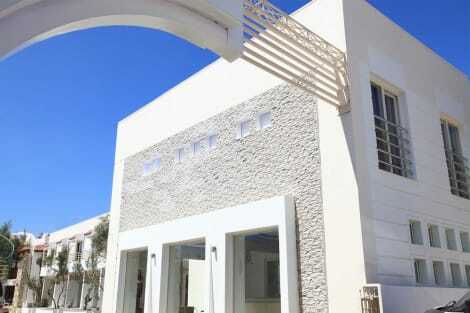 There's a wide range of options, from self-catering to budget hotels and luxury hotel and spa complexes. It's always wise to book well in advance, as in the peak summer season the city welcomes close to a million tourists. As the city's right by the Aegean Sea, when the weather gets warm people flock to the beach. You have the chance to try diving, windsurfing, camel riding and other watersports. Aquatica, out in the sea, is a floating platform where parties take place during the day. It's open from June to September and has DJs playing their sets live. Visit the Bodrum Marina to take a boat tour. You have a lot of choices, including private tours, all-inclusive packages and family-friendly boat tours. There's also a ferry over to the Greek island of Kos, which takes around 20 minutes. The International Bodrum Ballet Festival is held in summer. State ballet companies from different countries, including Russia, come to perform – usually for one or two nights only. Turkish food is heavily influenced by the Ottoman era, and this heritage is something you'll also see in Bodrum's many period mosques. Fish is a fixture on most menus, as you'd expect from a port. 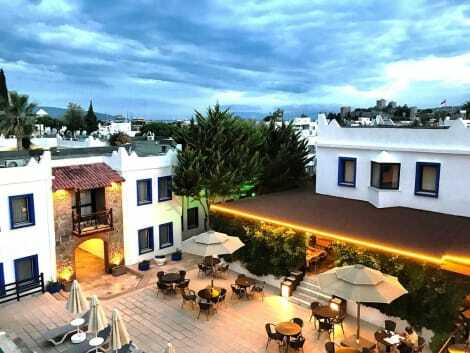 The international appeal of Bodrum is reflected in the variety of restaurants and the appearance of big names. There is, for example, a Starbucks at the marina. Chinese restaurants and pizza places can be found along the same street. For dessert, sample some sticky baklava. This Turkish pastry is filled with chopped nuts and drizzled in honey. Market stalls in Bodrum may also sell Turkish Delight. Shops in Bodrum stay open late, so you can have a casual wander round after dinner. Local crafts and jewellery are likely to feature ‘Nazar Boncuk' – the ‘evil eye' synonymous with Turkey. When buying something, don't forget to try haggling. Sellers expect it, and if you agree to the first price offered you may pay over the odds.